140 x 45 10000 Ft Raktáron! 150 x 45 11000 Ft Egyeztetés szükséges! The Prolimit sport twin bag fits 1 board with fins and pads. 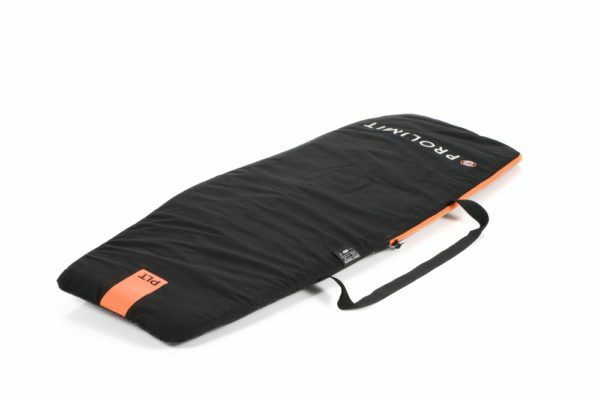 The sport twin tip is for day-to-day use and features 5mm foam from tough 600D polyester. Our XL sizes are designed for most light wind twin tip boards. Kapcsolódó linkek "PL Kitesurf BB Sport Twintip Black/Orange"
Vásárlói értékelés "PL Kitesurf BB Sport Twintip Black/Orange"